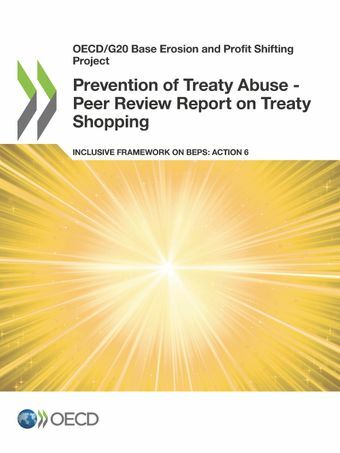 BEPS Action 6 minimum standard on preventing the granting of treaty benefits in inappropriate circumstances, is one of the four BEPS minimum standards that all Inclusive Framework members have committed to implement.This report reflects the outcome of the first peer review of the implementation of the Action 6 minimum standard on treaty shopping as approved by the Inclusive Framework on BEPS. It includes the aggregate results of the review and data on tax treaties concluded by each of the 116 members of the Inclusive Framework on BEPS on 30 June 2018. Chapter 1 provides context of the Action 6 minimum standard, Chapter 2 focuses on the peer review process, Chapter 3 highlights the aggregate results of the peer review and Chapter 4 presents the conclusions and next steps. The annex contains the jurisdictional section for each members of the BEPS Inclusive Framework.